The wellness and beauty markets may have hit peak CBD obsession. From lotions to lip balms to bath bombs, the calming, anti-inflammatory, antioxidant benefits of CBD, aka cannabidiol, are cropping up everywhere. Curious, but haven’t dabbled yet? 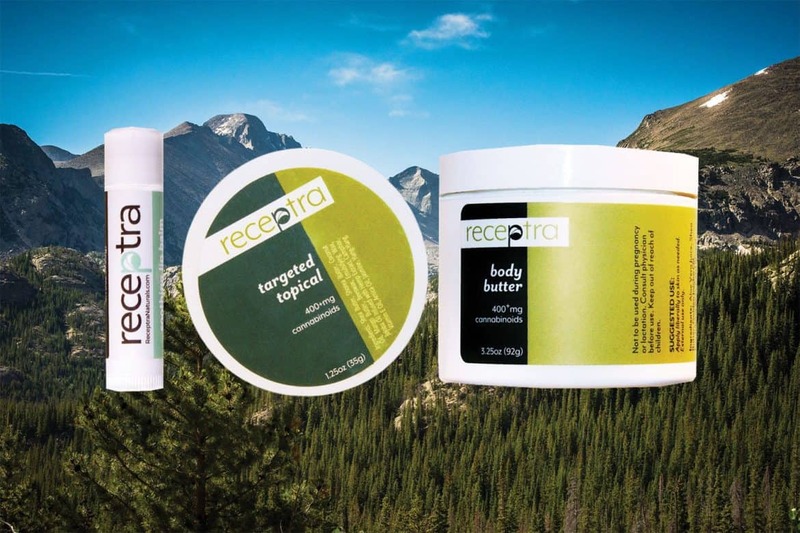 Receptra Natural’s hemp-derived products are a great place to start. Full-spectrum hemp oil and the CBD it contains are known to have incredible healing properties with daily usage. Receptra Natural grows its own hemp, creating healthy, organically farmed hemp products to help people who are seeking to improve their quality of life. The company makes full – spectrum hemp products that are equally suited for athletes, weekend warriors, and anyone seeking a healthy, active lifestyle. Receptra Natural’s offerings include a line of hemp oil extract tinctures available in multiple varieties and different concentration levels. The brand also makes a targeted topical formulation. Armed with what they believe are the best products in the industry, the company has quickly received strong support — and a loyal customer base — of both active and retired athletes. Its fans include pro wrestler Bas Rutten, who used Receptra’s products as a replacement for opioids and credits its CBD with saving his life. Since 2016, Receptra Naturals has worked to share the many benefits of full – spectrum hemp oil and CBD with the world. The Colorado-based company is one of the fastest-growing in the industry, and is improving quality of life for more and more people every day. Throughout this exciting time of growth, the company has stayed true to its roots and its customers, thanks to its commitment to running its business—and introducing CBD newbies to the benefits of the good stuff — at the highest level of transparency and integrity. To wit: The brand submits its CBD oil formulations for third-party testing, then shares the findings with customers—a welcome practice that’s not the norm in the largely unregulated, Wild West – esque CBD market. Ahead, a spokesperson for the company explains the buzzy, nonpsychoactive appeal of CBD products, and decodes what sets Receptra Natural’s wellness-boosting goods apart in the robust CBD market. What distinguishes your formulations from other CBD oils on the market? From farm to bottle, meticulous care is given to every step of the production process. We use proprietary genetics to produce our full-spectrum hemp extract oils, and we are committed to meet or exceed the industry’s highest quality and consistency assurance practices. We are proud to be one of a handful of trusted, credible CBD brands in a market that’s flooded with unscrupulous companies producing inferior products that either do not contain the ingredients listed, or are made with imported or outsourced hemp. Tell us about your CBD-packed lip balm. Our lip balm is carefully formulated to hydrate and protect, with the healing power of CBD. What inspired the creation of a pet care product? Receptra takes care of all your family members, including the furry — or scaly — ones! Do you offer any sets or bundles of products, for those who want to go all-in with their CBD and hemp oil encounters? None at the moment. Check back regularly at receptranaturals.com for all the latest products and exciting promotions. How do you suggest using your Targeted Topical cream? Receptra supports your active lifestyle, whether you’re seeing a show, going on a go – see, or hitting the after – party. Just massage onto any aches and pains from your long day and experience rapid relief. What’s the best way to use Receptra’s Body Butter? Our ultra-rich body butter is infused with our premium, pure CBD extract for a luxurious, spa-like experience wherever you are. Rapidly restore your skin’s youthful look and feel by massaging onto any rough spots regularly. Why is CBD oil especially useful for a fashion lover? Do you have any partnerships or activations happening this season at NYFW? We’re helping the fashion community survive Fashion Week! Receptra Natural’s CBD oils and creams are key to feeling your best this season. Our high-quality, pure CBD extract products are made with proprietary genetics. We have been popping up at fashion events and parties, passing out CBD oil and creams to the fashionistas, and sending out survival kits to help the models, editors, and influencers stay calm, energized and healthy during Fashion Month.